I can do better. And to be sure, I don’t want the kids in my life to be like me when they’re older. I want them to be inspired by my actions to be the best them possible. The weekend is almost here. What are three things you’ll intentionally do in the next couple of days so a child looks up at you and thinks, “I want to live my life like that,”? Your comments are valuable to our entire community, please share below so other leaders benefit from your good thoughts. This week’s VGTV: Using Degrees of Strength to Communicate With Confidence. Click the video below to watch now. 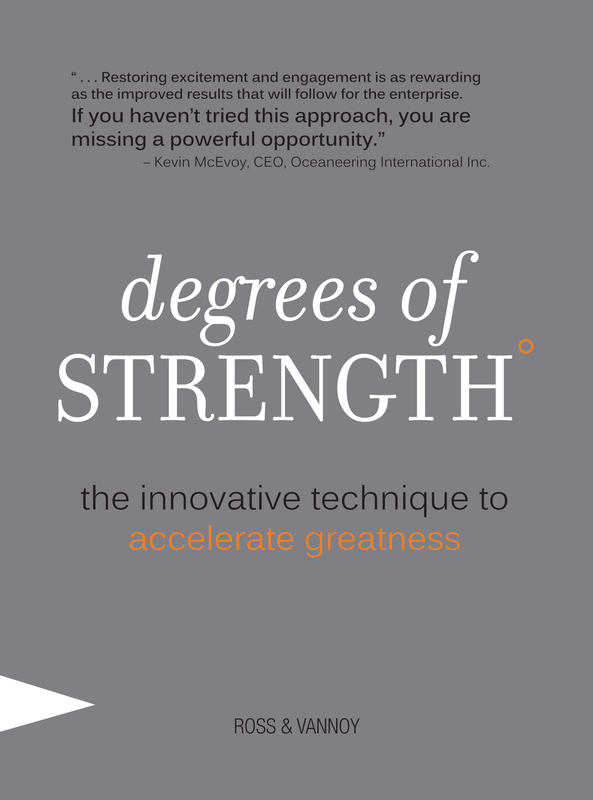 Read about some leaders who equip their teams to be great in Degrees of Strength: The Innovative Technique to Accelerate Greatness. Improve Performance. Increase Responsibility and Accountability. Build Agile, Capable Teams….and do it with one quick read. 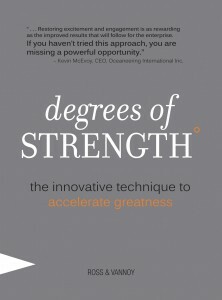 Order Now to accelerate your greatness in 2012. Comment* My goal is to be the person my 7-year-old son thinks I am. For me, this was my very best birthday gift! I have learned, over the years, to demonstrate by example as our kids are always ‘eyeing’ us without us ever knowing it. Every thing we do and say is being absorbed by these little ‘sponges’ and our examples are the future of their own personality.